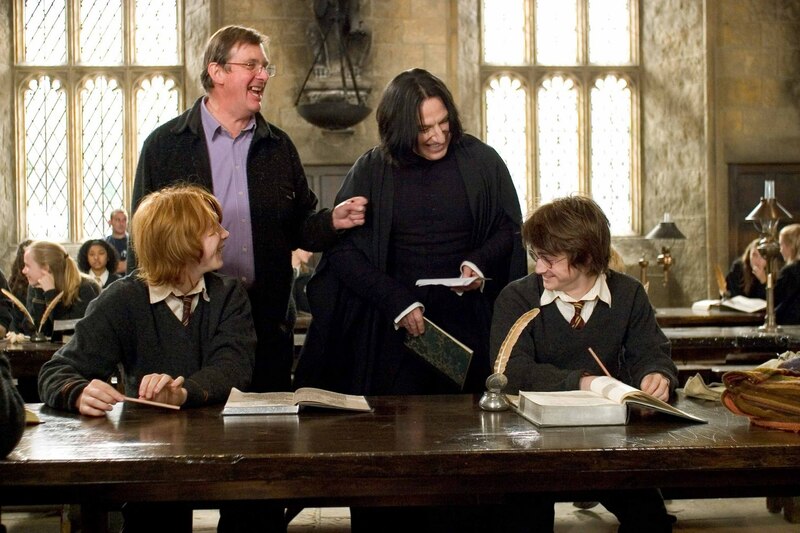 Behind the scenes of Harry Potter - Alan Rickman. . HD Wallpaper and background images in the severus snape club tagged: severus severus snape alan rickman snape harry potter potions master. This severus snape photo contains brasserie. There might also be traje de negocios, juego de negocio, mesa del comedor, tabla de cena, and sala de lectura.